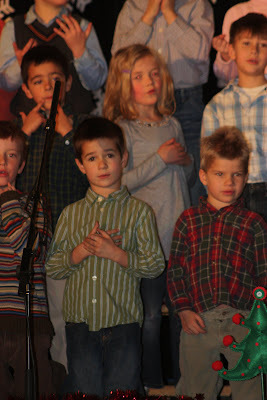 This past Thursday was Jakob's school Christmas concert. 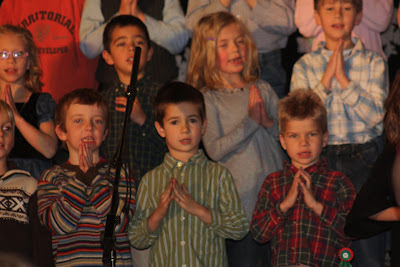 Jakob gets really nervous before things like this, but he did really well. 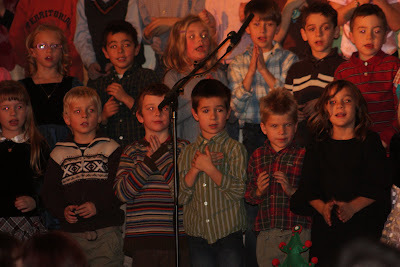 He sang with his class, which was a huge step, last year he just stood there! Even though he wasn't feeling well, he still went up there and sang! Good job Jake! !